It's Not Just an Award! Look hat came in the mail today! Thank you NYU for this honor. 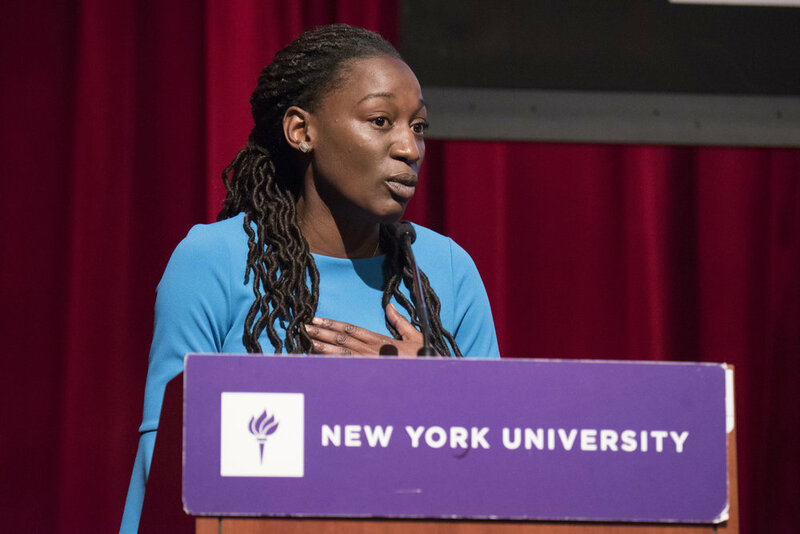 Last Monday, I accepted NYU's School of Professional Studies Preston Robert Tisch Institute for Global Study Ambassador of the Year award on behalf of The Winning Edge. I may have been standing on the stage alone that night but they are so many supporters that deserve recognition that helped us get to where we are in year three. I want to take the time to acknowledge them and show my appreciation for their commitment to our mission of developing the next generation of women and minority leaders in sports business. And finally I want to acknowledge the best examples I had of how to live life as an ambassador, advocating for others and the greater good... Coach Pat Summitt and Lt. Col. Ida Widmann ... in their memory I accept this award.